Explore why spring is the best time to visit the beautiful Mediterranean island of Cyprus. Contrary to the idea that Cyprus is an arid and dusty landscape, think again. Cyprus in springtime is lusciously GREEN! Spring in Cyprus is, for most people, the best time to visit. Winter’s rains bring the countryside to life. February and March are the prime months of verdant colours to behold. The main months of rainfall are December, January and February and, after the countryside has been inundated with much needed water, the magic and the beauty begin to blossom. It is a wonder how plants can withstand such intense fluctuations in temperature yet still survive. 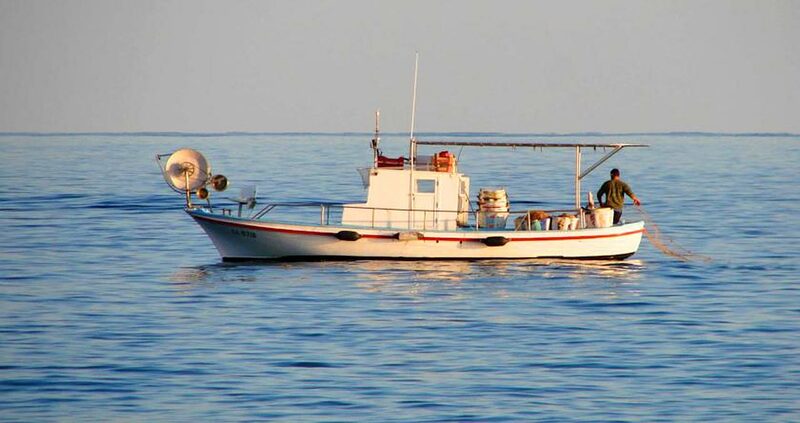 The Best Time to Visit Larnaca!!! If you’re thinking of visiting Cyprus, you would do well to come in spring. February is normally a rainy month. It is worth waiting a few weeks longer to come to Larnaca between mid-March and the end April to get the best of the climate, the best views and, of course, the opportunity to see some of the beautiful wild flowers, including magnificent orchids and intensely fragrant wild herbs. 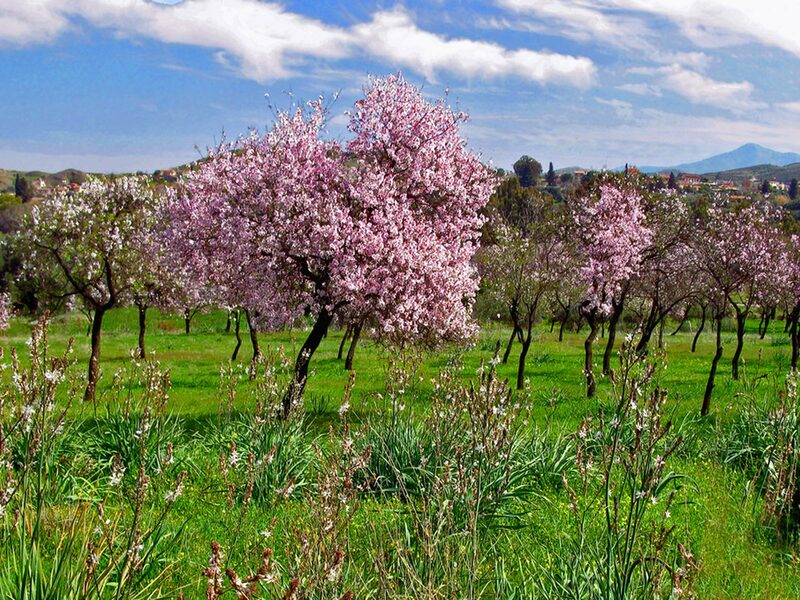 The pink and white almond blossoms appear early from the beginning of February onwards. The weather and temperatures fluctuate more than in the height of the summer, but the vibrant landscape makes the odd shower more than worthwhile. For a lot of folks, spring is, the best time to visit Larnaca as, once the middle of March arrives, every wild flower imaginable literally sprouts into life and the countryside is awash with an amazing display of flora. It is a veritable pleasure to go walking in the Larnaca countryside at this time. Another feature of the Cyprus countryside in spring is the masses of yellow flowers. For some reason, the yellow flowers arrive first. By March, the wild flowers spring forth in every colour imaginable. Clear skies, bright, warm and sunny days are the norm and they are the best time to enjoy the great outdoors and get a tan without boiling like a lobster, unless of course, that's what you like to do in July/August, when the majority of tourists visit the island! There are four nature trails strewn across Larnaca's mountainous areas, with each one designed to highlight the very best of the island’s picturesque beauty. 1. Kionia – Prophet Elias: At 7 km long and taking around three hours to complete on foot, the trail commences either at the Kionia camping site near Vavatsinia, or transversely, from the Machairas Monastery in the direction of Konia. The route of beautiful scenic views encompasses the Prophet Elias Monastery, and you can also stop for a drink of water at the natural spring. 2. Vavatsinia – Cave of Athashia: This route is two kilometers long and takes around an hour to complete on foot, the trail begins at the terrain road of the Vavatsinia – Konia Forest. The route passes by the cave of 'Athashia', which is a test excavation site for mineral gold that is known to exist in the area. 3. Lefkara – Metamorphosis of the Savior Chapel: Three kilometers long and taking around 1.5 hours to complete on foot, the trail starts at Lefkara on the road to Vavatsinia, then follows a steep slope up to the Church of the Metamorphosis (Transfiguration) of the Savior. It then follows a circular direction, ending up back in Lefkara village, offering panoramic views, which are particularly stunning from the standpoint of the church. 4. Lefkara – Kato Drys: Spanning 2.5 km and taking around an hour to complete on foot, this trail follows the same path towards the Metamorphosis (Transfiguration) of the Savior Church as the Lefkara – Metamorphosis of the Savior Chapel route, but subsequently takes a detour towards the village of Kato Drys. The downward sloped walk leads to the Convent of Saint Minas, a delightful monastery which accepts visitors during weekdays. 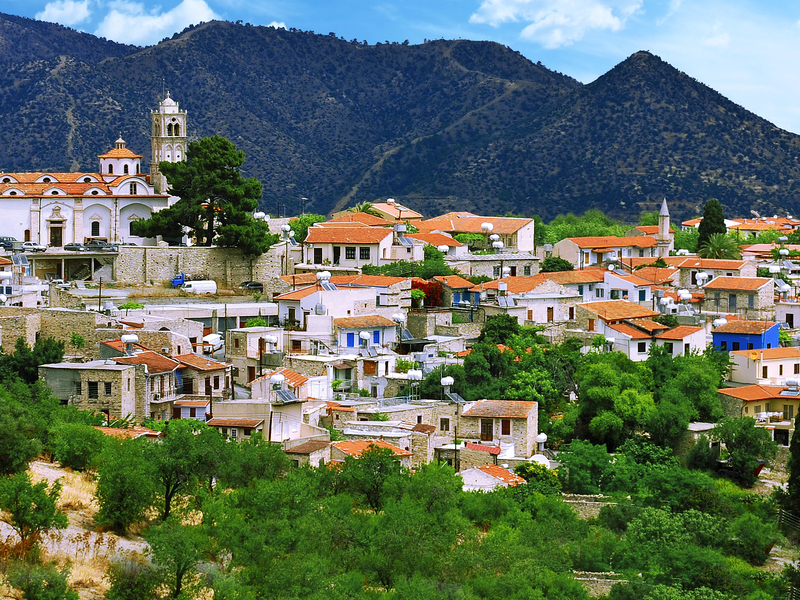 Visit the Villages: Pano Lefkara - Kato Lefkara - Vavla -Kato Drys - Vavatsinia - Scarinou - Tochni - Maroni - Psematismenos - Kalavasos. Weather: Spring begins in March. The average temperatures range from 7 °C to 19 °C (44 °F to 66 °F). What to pack: Light winter clothes with medium-weight wear is recommended. What to do: March is an excellent month for long country walks and cycling and taking walks by the sea. Weather: The temperature warms up during these months, ranging from 10 °C to 29 °C (50 °F to 84 °F). Median temperatures tend to drop slightly at night. What to pack: Medium-weight and summer apparel is recommended. What to do: The countryside is at its most luscious green and the flowers are in full bloom at this time, making April and May the best months for those who enjoy spending quality time outdoors. Many visitors start swimming, despite the mild temperatures. 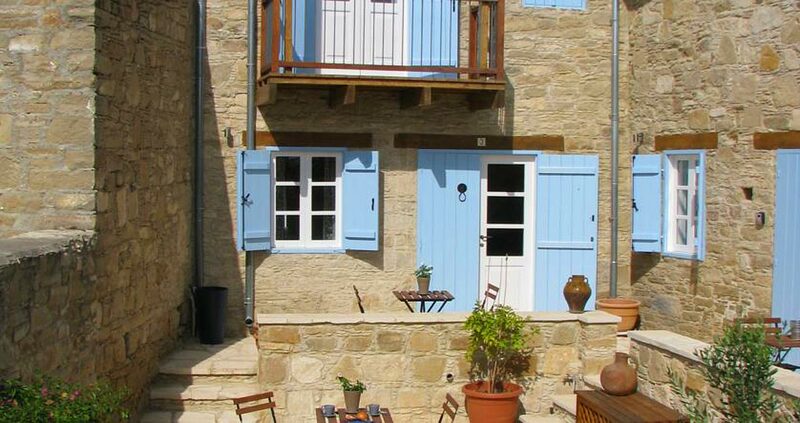 Just a 5-minute drive from the beach, the stone-built Teacher's House offers self-catered traditional units. 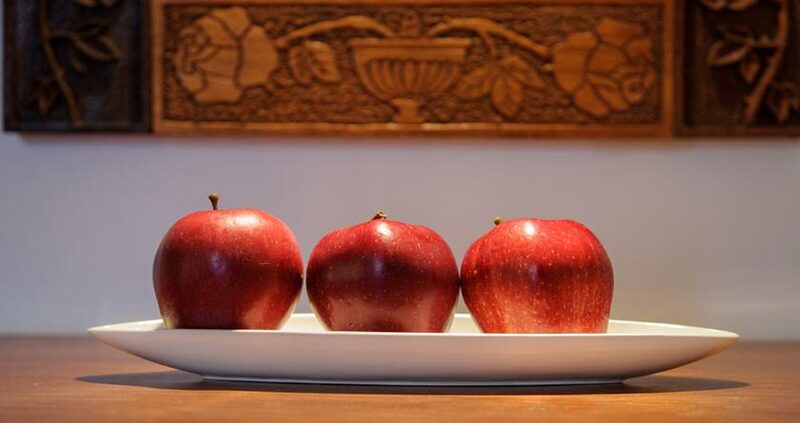 It is located in a fruit-tree garden, around 100 m from Maroni village centre. 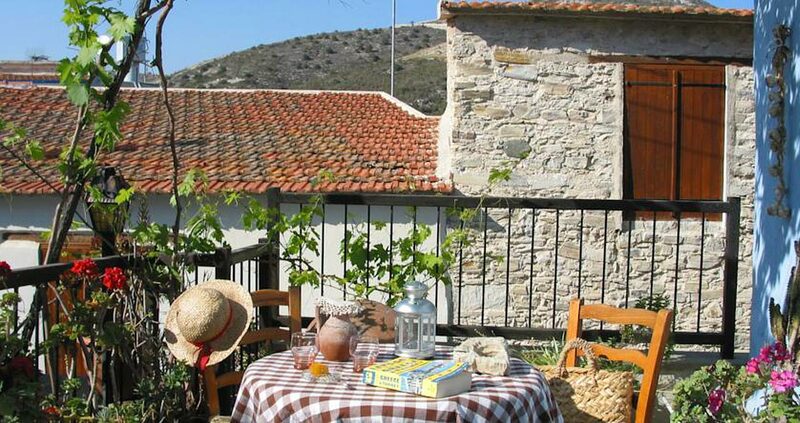 Centrally located in the scenic village of Kalavasos, and originaly built in 1663, Stratos ArtDeco House offers accommodation with free WiFi combining vintage and modern elements. Guests can relax at the stone-built, outdoor hot tub in the courtyard. Within walking distance of shops, taverns and cafés, the family-run Dolphin Guest House and Studios is located in Tochni village. Its self-catered accommodation offers free Wi-Fi and a terrace or balcony overlooking the garden or sea. 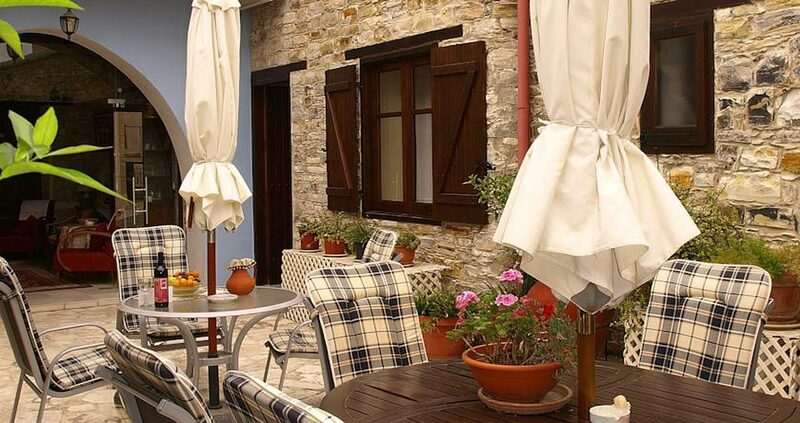 Built according to local architecture, Iosiphis Stonebuilt House is located in Pano Lefkara Village, just 80 m from the main square. The traditionally decorated accommodation features free Wi-Fi access throughout.